Why should we go to Uranus again? Despite the fact that this planet was discovered in 1781, it had no visitors since 1986, that is, from the moment when the Voyager 2 space probe completed the only one-time flyby of Uranus. Since then, no one has ever visited him, and this is very sad for modern scientists, because Uranus is an amazing place. In addition to the fact that this planet is one of the coldest in the solar system (the surface temperature drops to -224 degrees Celsius), it also attracts attention with its set of two dark rings, as well as the presence of 27 satellites named after Shakespeare’s heroes. For such a large planet – the equatorial radius is 25 559 km – Uranus is undeservedly out of sight and attention. But scientists do not give up hope that someday we will visit it and study it in detail. At a meeting of the 48th Lunar and planetary scientific conference held last week in the United States, a group of researchers conducted a presentation, in which she spoke about the concept of the mission of the uranium orbiting spacecraft OCEANUS. The head of the team, Ali M. Branson of the University of Arizona, invited NASA’s aerospace agency to send to Uranus in 2030 a spacecraft that will reach the planet in 2041 after conducting two gravitational maneuvers with Venus and another with Earth’s help. The orbiter will be able to study the solid core of Uranus, as well as its unusual uneven magnetosphere. In addition to Uranus, this feature was observed by scientists only from Neptune. “The need to study the ice giants is obvious – they are for us the least explored class of planets. The composition and structure of these planets is significantly different from the gas giants (the same Jupiter or Saturn). Our current models of the internal structure of the ice giants contradict the models of the formation of the solar system, especially in the questions of the expected sizes of the nuclei of such planets. And the uniqueness of the nature of the magnetic fields of such planets is generally poorly understood, “says the research team. In short, we know practically nothing about the ice giants. We only know that these planets can mainly consist of oxygen, carbon, nitrogen and sulfur. And this is despite the fact that we have two own ice planets – Uranus and Neptune. 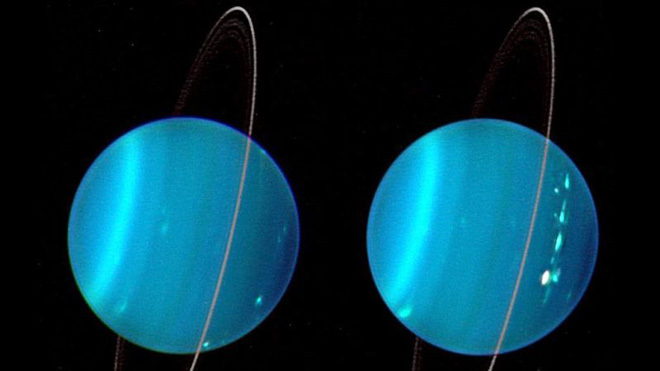 According to Amara Graps, a senior researcher at the Institute of Planetary Sciences, the space mission to Uranus could not only be an answer to many questions about ice giants, it would also allow the rather slow process of filling the information profile of Uranus itself. 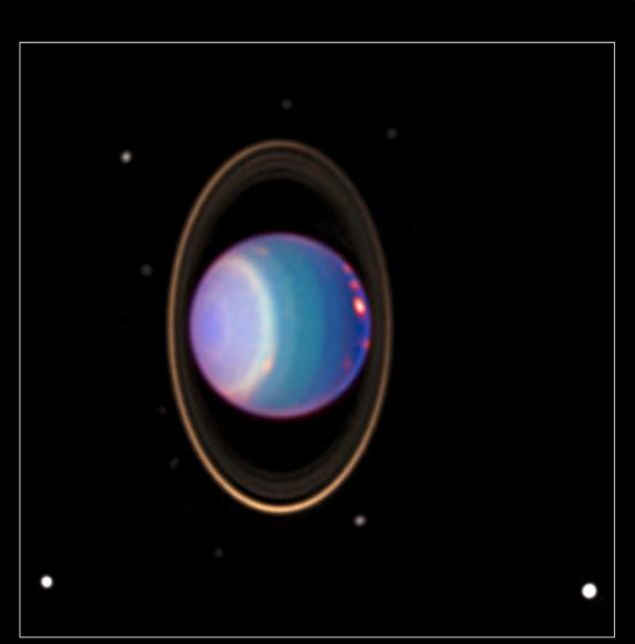 “In my opinion, the simplest answer to the question of why Uranus is so ignored [in the media] is that there have not been any space missions connected with this planet since the space probe Voyager 2, Says Grapes. And all because, just four days after that, there was a catastrophe of the American space shuttle Challenger. The device fell apart after 73 seconds from launch, destroying all seven crew members on board. The tragedy attracted much attention from the public, eclipsing even some of the achievements of the Voyager 2 spacecraft. Now the focus is on Mars. The question of sending a manned mission to the Red Planet over the next few decades is being considered. Even Ilon Mask hopes to build a colony there. But if we, even in the very distant future, can not live on such worlds as Uranus, this does not mean that we should not try to learn more about this large and unusual ice planet.